Believe in yourself! Remind yourself to always maintain belief in who you are with this fantastic Samsung sticker, ideal for all those owners of Samsung phones! 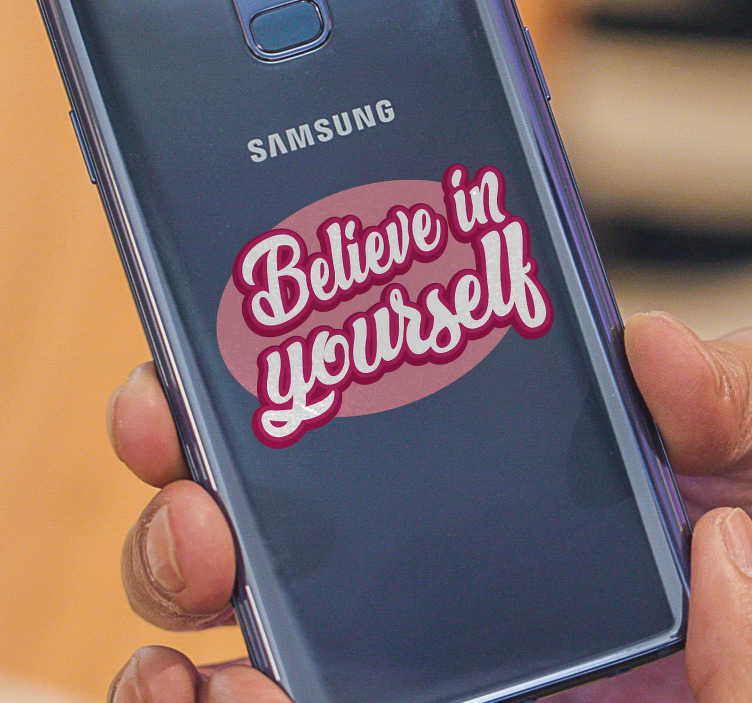 The Samsung phone is one of the most popular products in the world today, so it is important to have something to make it stand out from the crowd, which is exactly what we believe we have created here at Tenstickers with this superb mobile sticker, depicting the words ´Believe in yourself´. Well, you should believe in yourself, no?